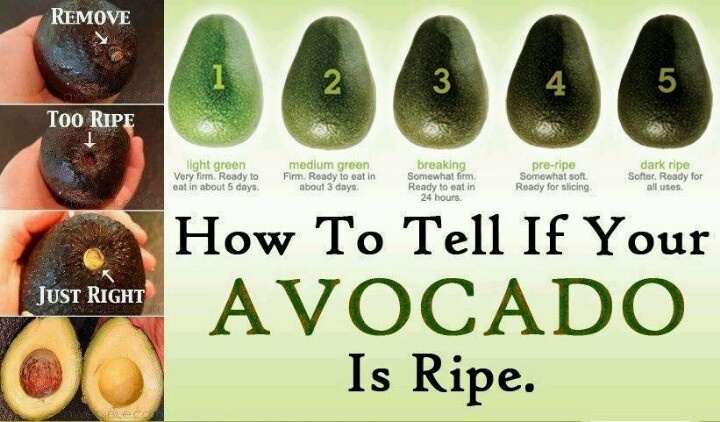 Would you believe that the avocado is considered by many nutritional experts to be a perfect food? It’s considered a superfood by many. Surprise, it’s not really a vegetable, it’s a fruit. In areas south of the border, it’s often called the alligator pear because of its shape and dark green roughly textured skin. Though avocados are heavy in calories, those are nutrient dense calories. And the fats are heart healthy monounsaturated fats and omega-3. Besides actually being healthy, there are many ways to enjoy avocado, from a few guacamole recipes to mixing into salads and to using it as a meat substitute for sandwiches. 1. Healthy brain: Dr. Daniel G. Amen, author of Change Your Brain, Change Your Life considers avocados as one of the top brain-healthy foods that can help prevent Alzheimer’s Disease. The folate in avocado contributes to preventing the formation of brain tangles that are considered a factor for Alzheimer’s. Avocados combine brain healthy omega-3 fatty acids with natural vitamin E, which has been clinically proven to prevent Alzheimer’s disease from progressing and even reversing it in its earliest stages. 2. Healthy heart: Avocados are rich in monounsaturated fats that boost heart health and help lower blood pressure. Avocado monounsaturated fats contain the phytonutrient beta-sitosterol, which was clinically proven to lower LDL and triglyceride blood levels while raising HDL. Avocados’ vitamin B6 and the natural folic acid from their high amount of folate help regulate homocysteine, which if high is a harbinger of bad heart health. The natural vitamin E and the master antioxidant glutathione in a base of avocado’s monounsaturated fat’s oleic acid are also recognized heart health boosters. 3. Pregnancy: Folic acid is commonly recommended for pregnant women to help the fetus develop its brain and other vital organs. But some health experts consider synthetically extracted folic acid a problem. They recommend using natural folate for its folic acid content instead. Folate also reduces stroke risk, according to a study of people who eat folate rich foods. 4. Eye health: Avocado contains the carotenoid leutein, an antioxidant that specializes with protecting the eyes from oxidative stress damage leading to poor vision, cataracts, and macular degeneration. 5. Blood pressure: The combination of avocado’s high potassium content, 30 percent more than banana, with omega-3 and oleic acid are beneficial toward reducing blood pressure. 6. Blood sugar: Avocado’s monounsaturated fats can prevent or reverse insulin resistance, a source of type 2 diabetes. The high soluble fiber of avocado helps prevent blood sugar spikes. 7. Anti-inflammatory: Inflammation is considered the basis of most non-contagious diseases. Avocados have an abundance of plant phytonutrient polyphenols and flavonoids, which have been discovered as anti-inflammatory agents. 8. Anti-aging: The master antioxidant glutathione supports the liver and the nervous system. It is responsible for replenishing and recycling other antioxidants in the body. It is vital for a strong immune system, and avocado is one of the few foods that contain a considerable amount of glutathione. 9. Digestion: Nutrients and enzymes in avocado reduce inflammation in the stomach and small intestine’s mucous lining. This also improves the body’s ability to absorb carotenoids and nutrients. A study’s participants who ate salads with avocados absorbed five times the amount of carotenoids than those who did not include avocados. Carotenoids include beta carotene and lycopene. Beta carotene is a precursor to vitamin A, and lycopene is a compound that reduces stroke and prostate cancer risks. 10. Cancer: Avocados can help protect against prostate and breast cancers. Had enough? 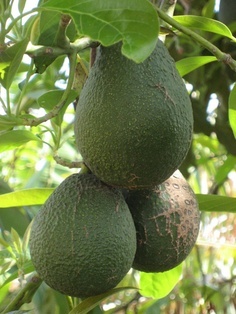 Go get some avocados and enjoy them with sea salt, olive oil and lemon or vinegar or whatever way you find pleasurable.